University education is increasingly under the microscope. Some argue the basic approach has not changed much in centuries with lectures and exams still dominating teaching practice in higher education. Others suggest higher education is ripe for ‘disruption’ similar to what Uber has done to the taxi industry. While these views have proven to be largely exaggerated, there is a grain of truth in the notion university educators are facing a new information reality. University students have access to information through networked devices in ways that were unimaginable only a decade ago. Powerful portable computers, tablets and smartphones have made it possible to access knowledge about almost any topic at any time. This new information reality has implications for education at all levels. High quality data is now readily available online. So, what does a quality university education look like when great educational material can be accessed through many channels? As part of the Australian Research Council-funded Science of Learning Research Centre (SLRC) and with support from The University of Queensland and The University of Melbourne, we aimed to find out. There has been enormous progress in the development of our understanding of how the brain and mind learn in the last decade. The challenge is to figure out how to apply the findings from neuroscience and psychology to higher education. A series of brain scans or results from a laboratory-based psychology experiment cannot provide university educators with formulas or recipes for teaching. A more dynamic translation approach is needed. A team of researchers in the SLRC worked together to come up with a list of the most accomplished and recognised researchers and scholars in the areas of learning and higher education. Twenty-four of these eminent scholars were generous enough to participate in interviews of around an hour each. In these interviews, we asked each of our experts about what they believe to be the most important evidence-informed aspects to consider for quality learning in university. We also asked them for advice on how best to apply the findings from the science of learning to teaching in higher education. The data collected during the interviews was processed through a thematic analysis. The analysis yielded a set of core themes. These themes were then triangulated with an extensive review of the literature on learning in higher education resulting in seven principles. These principles form the basis for what we have called the ‘Higher Education Learning Framework’ (or HELF). 7. Deep and meaningful learning: Learning is built on prior knowledge and engages students in deep and meaningful thinking and feeling. A full handbook including explanations about each of these principles is available here. There have been many attempts at developing sets of principles of quality learning to inform education, such as the HELF. Sets of principles don’t provide teachers or learning designers with ‘actionable knowledge’ or knowledge they can immediately use. One of the key findings from the interviews was the consistent view across the experts about the importance of teachers and learning design. We wanted to bridge the gap between the principles and teaching practices. The HELF has been extended upon to include implications for students, for teachers and for assessment. For example, when we say emotions play an important role in learning, what are some strategies teachers might develop to minimise the likelihood students will get bored or frustrated? What can students do to help manage confusion when they are engaged in learning new or difficult material? How can assessment be designed so it does not exacerbate student anxiety? These are all important implications of the seven principles and we have provided additional detail in the handbook. With generous support from The University of Queensland, a series of case studies are now being collected to provide concrete examples of the HELF principles in practice. The HELF team will provide an updated version of the handbook in future that will include these examples to help academics and instructional designers to consider how the principles might apply in their particular context. We have attempted in the HELF to contribute much needed evidence to inform the ongoing evolution of university education in the digital age. There is no algorithm for teaching and the complexity of higher education means it is unlikely the sector will be disrupted in the ways management gurus have been predicting for over a decade. We hope the HELF will serve as a catalyst for further conversations about how evidence from neuroscience and psychology might provide an antidote to the hype. 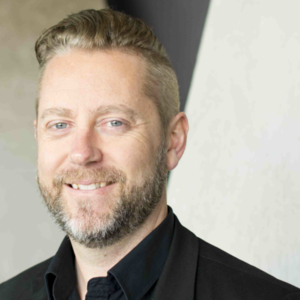 Jason Lodge, PhD is Associate Professor of Educational Psychology in the School of Education and Institute for Teaching and Learning Innovation at The University of Queensland. He is also Honorary Principal Research Fellow in the Melbourne Graduate School of Education, The University of Melbourne. Jason’s research focusses on the cognitive, metacognitive, social and emotional mechanisms of concept learning and conceptual change. He also conducts research on the translation of the science of learning into practice in educational settings, particularly in digital learning environments and higher education. Online technologies are increasing access to qualifications but not necessarily improving the quality of skills or information taught to students. The HELF's aim to maintain high standards of teaching through collaboration and best practice, only emphasises the important role educators have in generating graduates with the expertise to start work but also, inspire those students to keep learning throughout their lives. Great resource.